You’ve had an extremely successful year, especially with your album 23. What is the best thing you did this year and something you must do before the year ends? The best thing I did was releasing an album; I’ve done everything I planned. 2017 was more of a year preparing for 2018. I’d give myself around 80 points. This is your third year with the band Hyukoh. How do you differentiate Hyukoh’s music with Oh Hyuk’s? There are a lot of similar approaches, but they have different direction and output. I try to maintain a certain color with Hyukoh. 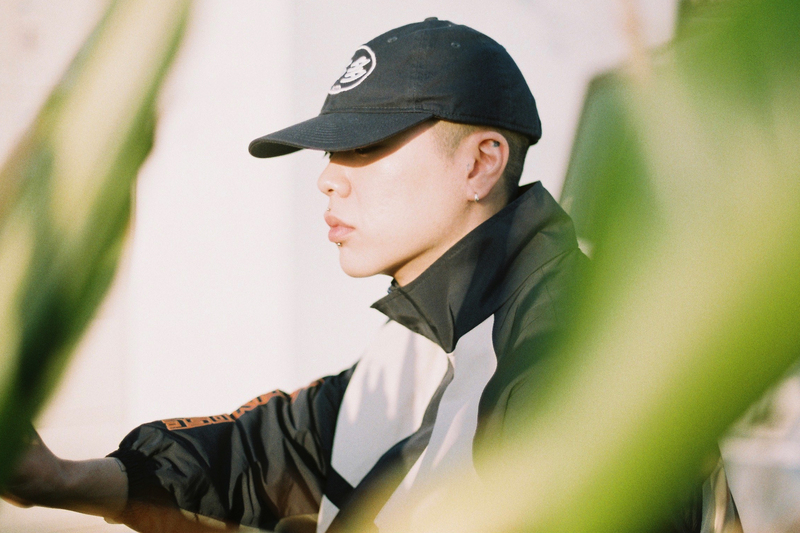 With Oh Hyuk, it can be anything from casual music to something experimental. I believe Hyukoh should have a distinct style, so I do my own music as another channel of release. I like techno music so I sometimes make techno at home when I’m alone, but it’s not good enough to reveal to the public yet. As an artist, what standards do you hold yourself against? I don’t think any artist could ever be satisfied. As long as you have the thirst for something new, you’ll run into challenges someday. What’s important is the balance. You have to find happiness and enjoyment in the process. Korean society demands that you set goals in life, whether it’s for work or family. What are your thoughts on being enforced or pushed to a certain standard? Are you the type to set clear goals for yourself? It’s not a matter of enforcing. Individuals should make their own choices. If you feel excitement from setting clear goals for yourself or competing with others, you can live that way. But there is another way if you feel too burdened by pressure. You can just tread slowly, there is no answer. What matters is your happiness. What is the biggest strength of our generation? When is your favorite period in time? I like the ‘70s and ‘80s the most. Everything from the ‘70s especially has this honesty and warmth to them. For example for music, they don’t seem to be intentionally written to become “addictive hits.” I would describe us as the YouTube generation, one that can share various things without any limits. What songs do you love right now? “Little Person” by Jon Brion, “Love” by John Lennon, and “If” by Bread. You’ve become a global fashion icon. What is your impression of that? I’m more interested in fashion than fashion is interested in me. I recently reached out to Shin Murayama, who has collaborated with the likes of Stussy and Takahiromiyashita the Soloist. I wanted to make facial masks with him and he obliged. I used to wear a lot of Polo hats, so we made a mask with a vintage Polo cap. Which brands can you never go without? sacai, Martine Rose, Kiko Kostadinov. How was your experience with New York Fashion Week? I got to meet Raf Simons backstage. I couldn’t tell him much because I was nervous. I just told him that the show was great and that I wanted to come see it again. I would like Raf Simons to like our band someday. You used to work at a Vans store, now you are a model for the likes of NikeLab and Converse. This all happened in a very short period of time. What has that been like? Working at a retail store was a very good stepping stone for me in learning how to work in society. I was the youngest at Vans and often ran into trouble with my superiors because I didn’t know better, but I learned through those experiences. What does youth mean to you? Youth is two-sided. One side shines bright like Ryan McGinley, with endless possibilities. The other side is filled with unsureness and uneasiness because you know your youth will end some day. I think where you are headed depends on whether or not you are aware of the end of your youth.